Lung cancer is the second most common cancer among men and women (not accounting for skin cancer), and about 14% of new cancer cases are lung cancers. It is the leading cause of death among men and women, and the number of people who die of lung cancer is higher as opposed to those who pass away due to colon, breast, and prostate cancers combined. Lung cancer can be a fatal disease, but a comforting thought is that there are ways to lower your risk of incurring it. Here are some of the ways. Tobacco smoke is a major risk factor for lung cancer. Smokers are about 20 times more likely to develop lung cancer than non-smokers. Lung cancer risk increases based on the number of cigarettes smoked and the number of years a person lived with the habit. 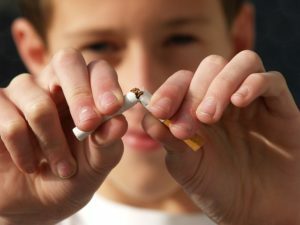 If you’ve been smoking for years, don’t think that it’s too late to quit or that stopping will not make much of a difference on your health. In fact, lung cancer risk can decrease by 30% to 50% when a person is smoke-free for ten years. Non-smokers are not spared from lung cancer risk, especially when they are constantly exposed to secondhand smoke. It is sometimes called as involuntary or passive smoking. You can avoid secondhand smoke by avoiding smoking areas. Consider going to smoke-free restaurants, establishments, and facilities. If you live with a smoker, reach a compromise. You can agree that smoking should only be done outside the house so that secondhand smoke will not enter your home. Radon is a gas emitted when uranium in rocks and soil break down. It enters a structure through cracks. Over time, radon can build up in an enclosed area and can increase lung cancer risks among people living or working within a particular space. Limit radon exposure through tests. Testing and evaluation will let you know the amount of radon present in your property and what can be done in order to lessen it or lower your exposure to it. 4. Practice safety precautions at work to prevent exposure to carcinogens. 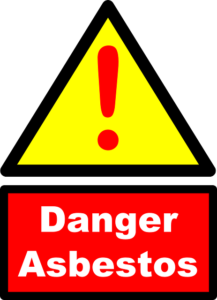 If your workplace is exposed to chemicals such as asbestos, arsenic, chromium, nickel, beryllium, cadmium, tar, and soot, you need to strictly follow safety guidelines. If you’re required to wear a mask and other safety apparel or gear, do so. These instructions are set in order to keep you from being exposed to toxic chemicals and their harmful effects on health. 5. Live a healthy lifestyle. Making healthy lifestyle choices may help strengthen your body and increase its resilience to diseases, including cancer. Go for a balanced diet. Keep your body nourished with the right type of food sources and include a variety of fruits and vegetables in your meals. Meanwhile, it also pays to exercise regularly as this helps strengthen your body. Getting enough sleep is also essential. Make sure that you get enough hours of shut-eye each day to allow your body to rest and recharge. Before going for any type of diet or exercise routine, it’s advisable to consult a doctor first. Doing so ensures that a meal plan or fitness program is appropriate for your health needs. Battling lung cancer begins with awareness. More than learning about what it can do to your body, it’s also essential to be aware of its risk factors, so that you know what to avoid to lessen your chances of being affected with it. These handy guide is a good start as you strive to keep lung cancer away from you and your loved ones.